Travelling with pets can be difficult, and when you’re moving a long distance it can be a big worry. 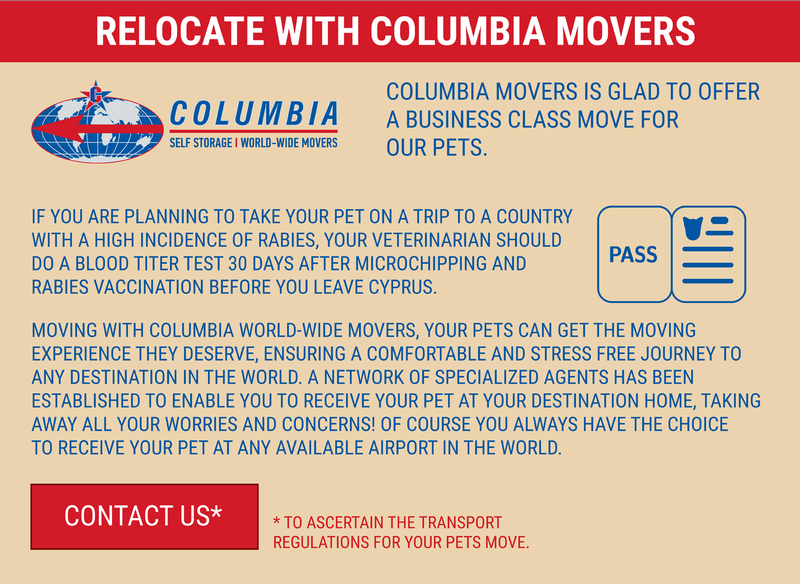 But with some careful planning you can ensure that your pet moves to your new home safely and with as little stress and discomfort as possible. 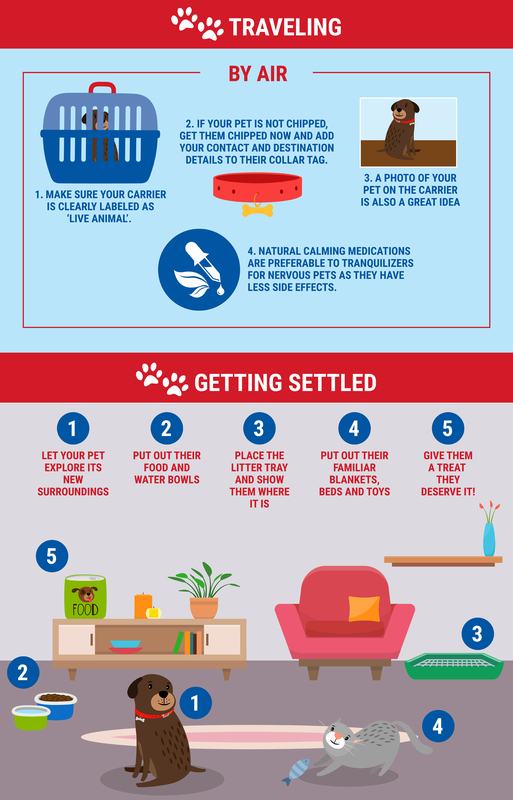 It’s important to know what you need to do, so please check out our infographic to learn more about the steps you need to take for your pet’s big move. There are those things you need to do before you go, such as ensuring your pet is fully vaccinated, transportation tips and some ideas for helping your pet feel at ease on the journey such as packing their favourite blanket in the carrier with them. Those familiar smells of home really do help settle an anxious pet. 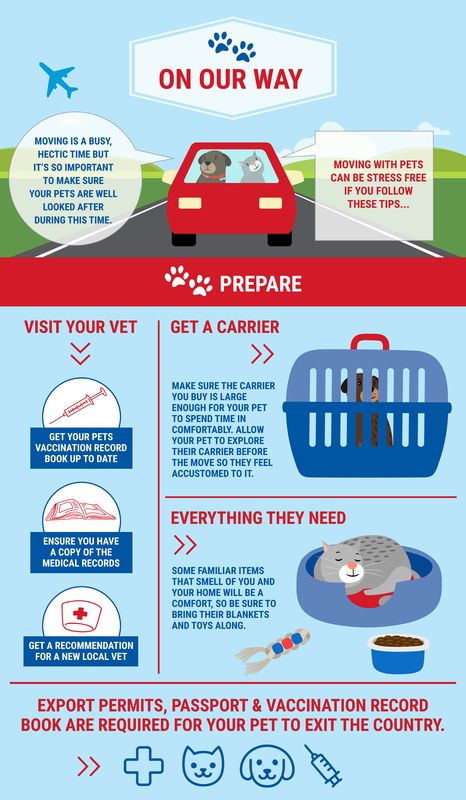 Once you’ve arrived at your destination, you may be tired but do make sure your pets have everything they need straight away. Make them feel at home and you’ll eliminate any problems such as inappropriate urination and scratching at the door. Take time to let them explore their new surroundings, and of course, give them lots of love!